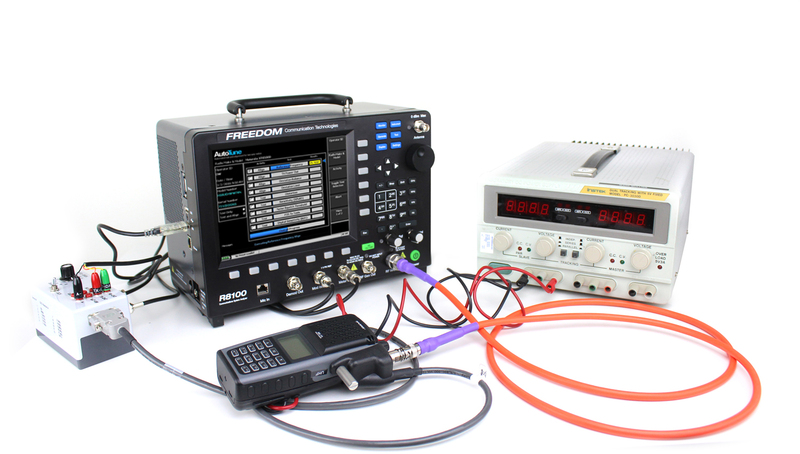 Working closely with Harris engineers, Freedom continues to develop the most comprehensive test support available for Harris radios. 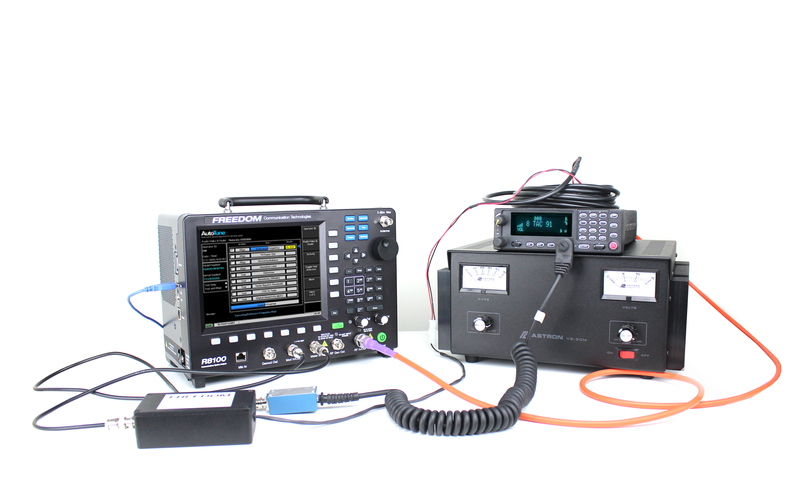 With the R8000 and R8100 you can automatically test and align your Harris radios in a fraction of the time it takes to perform the test manually. Our Harris AutoTune™ option is the ideal solution for formal preventative maintenance programs or any sizable radio fleets that must be regularly maintained. 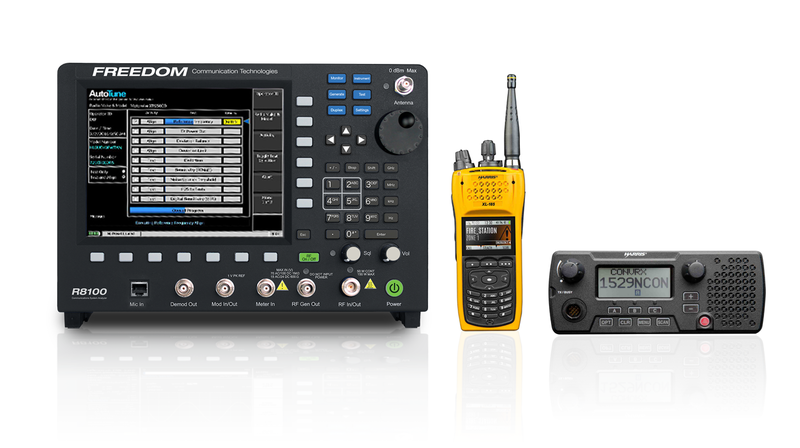 XL-200P models are the latest innovation from Harris offering a blend of LMR and LTE technologies in a P25 portable package. 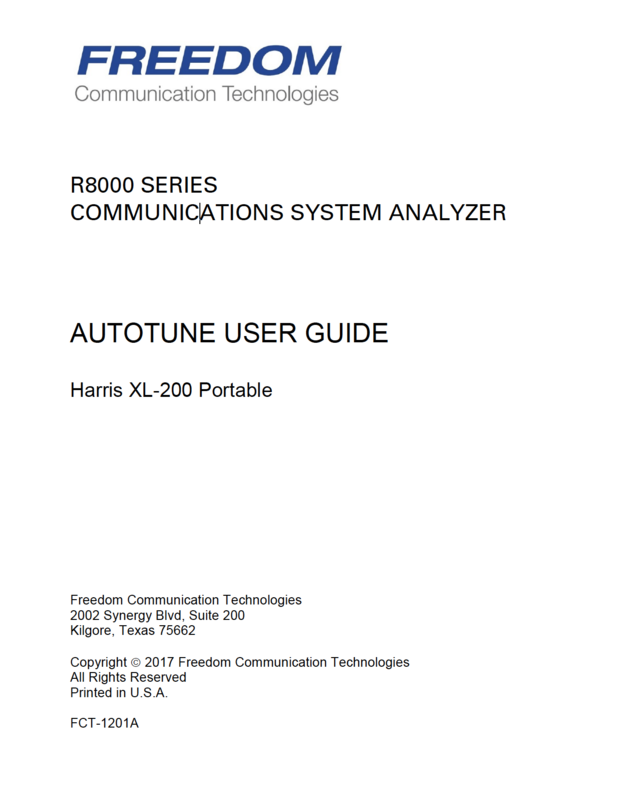 AutoTune provides complete Harris-specified XL-200P field servicing, including analog and digital P25 testing, all while using standard Harris accessories. 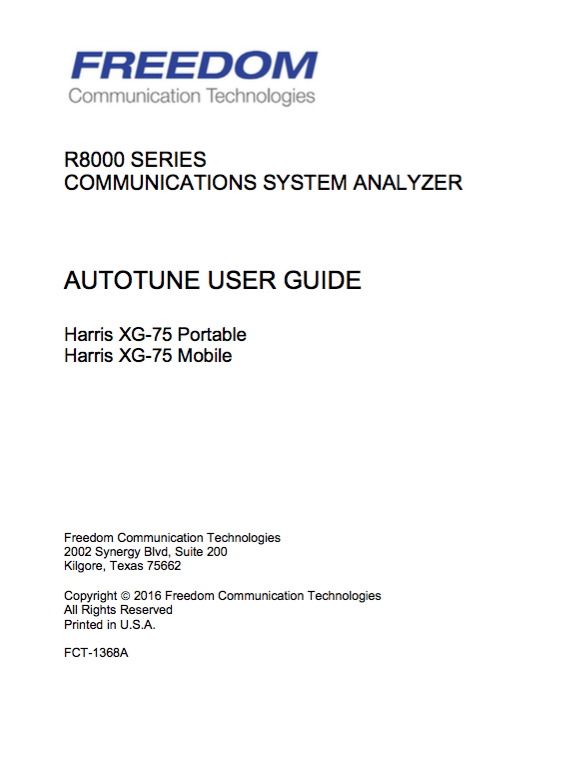 Keep your XL-200s performing as they were designed in less time with AutoTune. industries, to name several. AutoTune performs Harris- specified maintenance testing on these models, ensuring proper operation. FREEDOM offers additional custom accessories for interfacing the XG-100M to the analyzer for measurements, making servicing these models easier than ever. 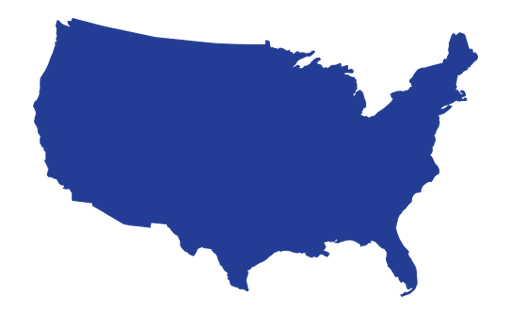 Harris XG-75 series of radios are relied upon by first responders and businesses alike for a wide variety of communication needs. 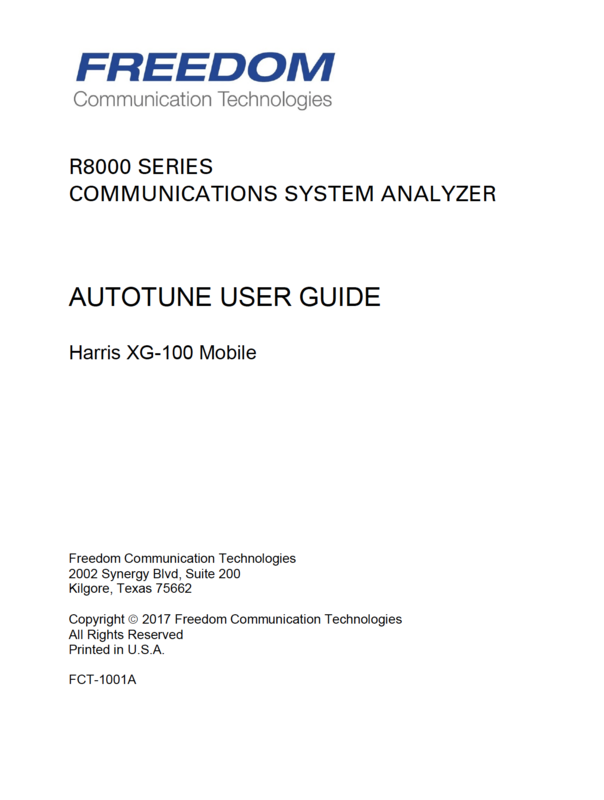 In additional to an extensive analog test and alignment suite, AutoTune support for these Harris models includes complete P25 Phase I and Phase II testing, ensuring your radios operate well on the latest digital P25 networks. Available Harris XG-75 AutoTune accessories make this servicing feature a true turn-key solution.